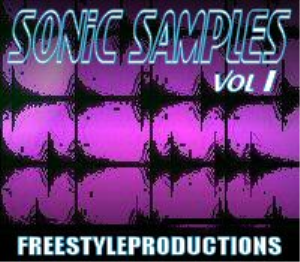 THIS LOOP AND SAMPLE LIBRARY CONTAINS 4,000 LOOPS AND ONE-SHOT SAMPLES (310 MB ZIPPED) AVAILABLE AS AN INSTANT DOWNLOAD PRODUCED BY FREESTYLEPRODUCTIONS. WE ARE FAST BECOMING KNOWN FOR ORIGINAL, HIGH QUALITY LOOPS AND SAMPLES AT A FAIR PRICE. 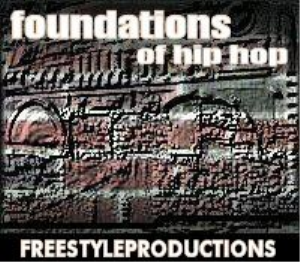 MADE FOR ACID, CAKEWALK SONAR, BUZZ, REASON, FRUITY LOOPS, COOL EDIT, REBIRTH, FASTTRACKER, SOUND FORGE, PRO TOOLS, ENSONIQ AND YAMAHA SYNTHS, AKAI MPC'S, KURZWEIL SYNTHS, AND ANY OTHER LOOP BASED SOFTWARE PROGRAM OR HARDWARE SAMPLER THAT USES AND RECOGNIZES .WAV FILES. INTROS, OUTROS AND EVERYTHING IN BETWEEN!!! 2 Step/ UK Garage and Any Type Of Music Imaginable!!! 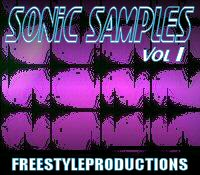 SONIC SAMPLES VOL. 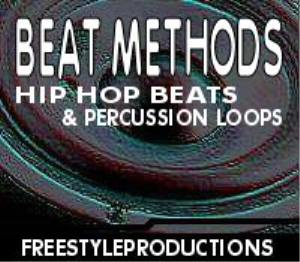 1 WAS MADE WITH THE USER IN MIND--- ALL LOOPS ARE CATEGORIZED IN THE CORRECT FOLDER WITH THE CORRECT BPM FOR EASE OF USE. THESE LOOPS ARE ROYALTY FREE. NO SAMPLE COLLECTION WOULD BE COMPLETE WITHOUT THIS LIBRARY OF SOUNDS. EVERY LOOP IS FULLY EDITABLE WITH THE USE OF ANY SOUND EDITOR. ALL LOOPS WERE RECORDED IN 16-BIT STEREO AT 44.10KHz. SOME OF THE ONE-SHOTS WERE RECORDED IN MONO. BPM'S RANGE FROM 90-140--KEEP IN MIND THAT YOU CAN CHANGE THESE WITH MOST LOOP PROGRAMS. THESE AREN'T JUST YOUR AVERAGE EVERYDAY LOOPS EITHER. THE SOUND QUALITY IS SUPERB. IF YOU HAVE ANY QUESTIONS FEEL FREE TO E-MAIL US. 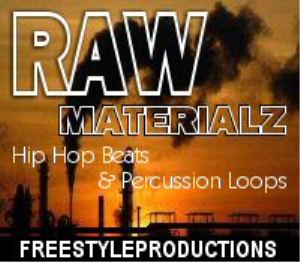 THIS CD CONTAINS 4,000 HIGH QUALITY LOOPS AND SAMPLES!!! IF YOU DON'T RECEIVE YOUR DOWNLOAD RIGHT AWAY IN YOUR E-MAIL INBOX AFTER PURCHASE, PLEASE CHECK YOUR SPAM FILTERS OR JUNKMAIL FOLDER TO SEE IF IT'S IN THERE. FOR SOME REASON, CERTAIN E-MAIL CLIENTS WILL PLACE THE DOWNLOAD THERE.